The prayer carpets in two mosques in New Zealand were drowned in blood in a terrorist attack and it was also a bloody week for European Muslims, where the windows of mosques in Britain were smashed and warnings were issued about the possibility of Islamic institutions being attacked in Germany. Five mosques in the Birmingham area of Britain were vandalized on Thursday, March 21. A man began to break the windows of an Islamic center at 2:30 am with a large hammer. Forty-five minutes later, police received reports of four other mosques or Islamic centers being vandalized, the last of which occurred at 10 am. 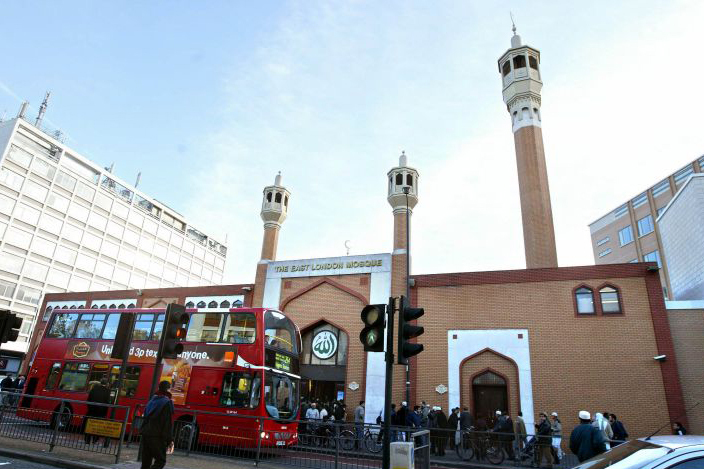 The British authorities have begun investigating the incidents and the police imposed security barriers around the mosques that were attacked, but they have not yet to mention the motives behind the incidents. On March 15, extremist Brenton Tarrant opened fire on worshippers praying in two mosques in New Zealand, killing 50 people and injuring dozens more. Britain fears places of worship being targeted, including mosques and churches. British Home Secretary Sajid Javid said he was worried about seeing a number of mosques being vandalized. Thompson stated that the authorities have not yet been able to capture the perpetrators of the attack, but promised to continue to search for them, adding that they will be tried criminally. He stressed that everyone needs to unite in these difficult times and not give in to those who seek to spread sedition, fear and turmoil. There are doubts about the involvement of Europe’s far right in targeting Islamic facilities, at a time when Germany is also afraid of the spread of terrorism against Muslims. Although German Interior Minister Horst Seehofer talks about security arrangements for mosques and the absence of an anti-Islamic climate in Germany, he believes mosques and other places of worship may also be targets of terrorism. The majority of Germans live together in peace, Seehofer said, adding that extremists would not make them change that. The freedom of religious practice is one of the main concerns of the German government, he said, stressing that the government is strictly addressing any crimes against Islam or attacks on mosques. According to data released by the Germany’s Ministry of the Interior last December, the number of refugees who entered Germany in 2018 was less than the 220,000 limit agreed upon by Germany’s coalition government in March 2018. According to government statistics, the number of asylum claims in 2018 fell by about 18% compared to 2017, largely due to tightening the EU’s external borders as well as the borders between some European countries, especially after the agreement concluded between the European Union and Turkey in 2016. 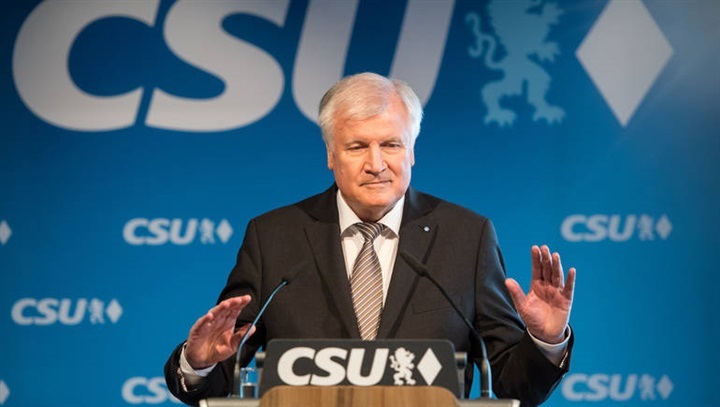 In response to a question about the need to protect mosques in Germany in the future, Seehofer told Bild newspaper, "Religious sites can also become targets for terrorists. If there is any hint of danger, we will strengthen their protection." 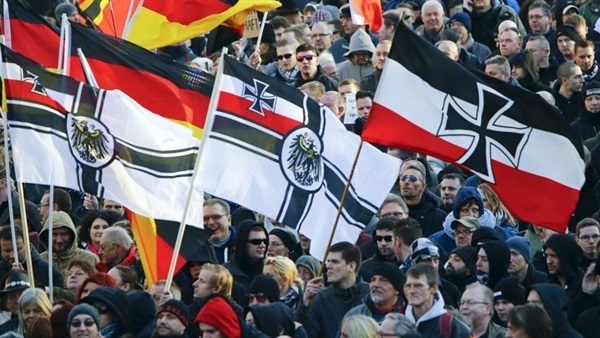 The far right in Germany raises the slogan "Go back to where you came from" in the face of Muslims, making Germany cradle both extremes of terrorism, from the many Salafists to the rise of the far right. According to the far right in Germany, Muslims do not belong to the German cultural identity, even if they have citizenship, considering the spread of Islamic manifestations such as veils and beards to be disagreeable with German society. They also view the presence of Muslims as increasing the chances of terrorist attacks in the country. About 100 right-wing deputies are serving in the German parliament for the first time since the World War II. 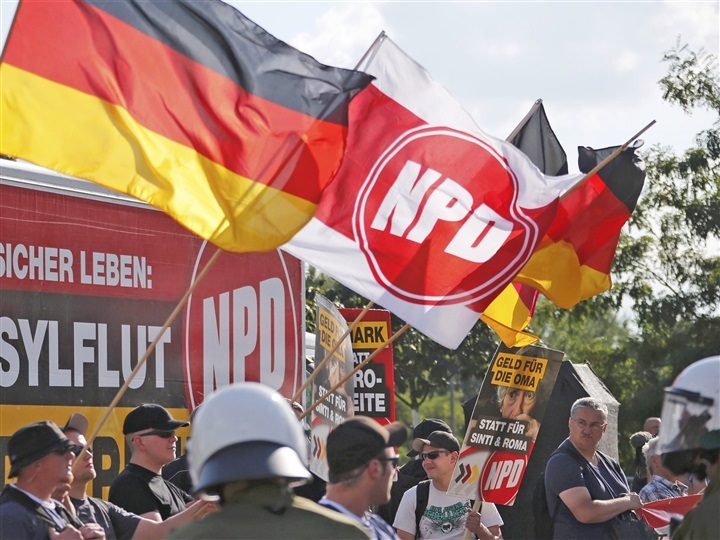 The "Alternative for Germany" party has already violated many national taboos during its campaign, including its condemnation of reparations for Nazi crimes. Meanwhile Angela Merkel’s conservative party won the election, but with the worst result since 1949. The "Alternative for Germany" party is the most populist right-wing party, and it believes that Islam does not belong in Germany and that allowing the existence of Muslims in Berlin is a means Islamization of the society, Deutsche Welle reported. 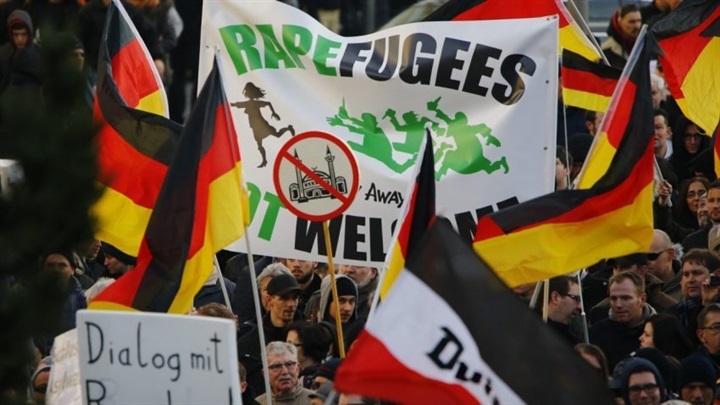 However, the German Identity Movement has begun to take initiatives to demand that the Germans be a majority in their country in the face of Muslim immigrants, calling for the separation of Muslims in specific places, so as not to change the face of Germany. The movement is responsible for more than 100 crimes against Muslims during the past 16 months, including the destruction of property and injuring individuals, according to the German Interior Ministry. Experts who spoke to Deutsche Welle at the end of last year said that despite the war waged by the far right against refugees, it appears they have only made gains after the number of refugees and immigrants has increased. "The regional success of the Alternative Party cannot be explained only by economic weakness," the German Institute of Economic Research said in a report, explaining that the party had won many votes in wealthy states such as Bavaria and Baden-Wurttemberg, while it received fewer votes in poorer states such as Schleswig-Holstein. This was supported by the Hans-Böckler Foundation, which stated that unemployment does not have a significant impact on voting behavior, but rather a feeling of fear does. The populist right, represented by Alternative for Germany, was unable to win seats in the parliament until after the arrival of refugees. According to the Hans-Böckler Foundation and the German Institute of Economic Research, the factors that led to the rise of the far right following the arrival of refugees were "cultural, historical, social, and psychological" more than economic. Sociologist Holger Lengfeld previously said that Alternative voters are those who see globalization as a cultural and economic threat because it brings competitors. Attacks against Muslim individuals and mosques in Germany reached about 1,000 attacks in 2017, according to statistics the Muslim community believes are inaccurate. According to official data from the German Interior Ministry, there were at least 950 attacks against Muslims and mosques in Germany last year, with 60 attacks against mosques by right-wing extremists. Among the offenses were hate comments against Muslims on the internet, threatening letters, attacks on women wearing headscarves and Muslim men on the streets, and damage to houses and mosques, including Nazi graffiti.